Natural ionizer from the Himalayan Salt Mines. Magnificent, soul warming, and magical! 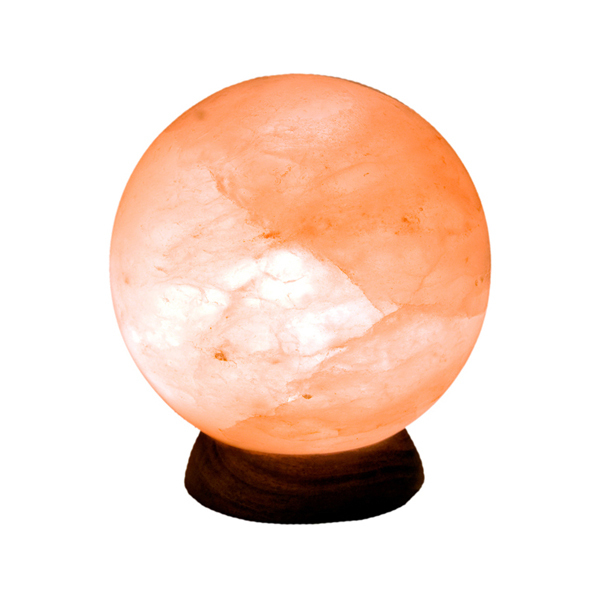 Improve the energy in any room, with our negative ion producing Himalayan Salt Lamps. Free Shipping offer does not apply to this item. Oversize/heavy. We will provide a discounted shipping rate on this item. You can pick this item up in our store, or request a shipping quote. Sorry… we are “sold out” of this salt lamp. We have placed a order… which should be arriving End of Feb. These lamps come power cords, with North American plugs and use 110v power. Includes 1 bulb. Salt Crystal Lamps are made from salt crystal rock formed by nature over hundreds of millions of years ago, and mined from the Himalayan rock salt mines. Each Rock Salt Lamp is carefully handcrafted and is unique in design and color Magnificent, soul warming, and magical! ~ Each lamp is hand crafted, varies in color, and is unique in shape and hue. 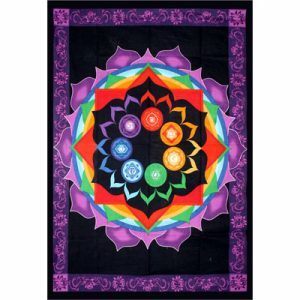 ~ Ability to eliminate or reduce stress, depression, head-aches, allergies, and breathing problems. Today, at the beginning of the 21st century, we can hardly imagine living without many electrical devices such as computers, televisions, air conditioners and heaters. These devices make it easier for us to work in the office and at home provide entertainment. However, we often do not realize that these technologies are also a source of very harmful positive ions also known as the “electric smog”. Crystalline Rock Salt is a natural ionizer. Rock Salt Crystals Lamps effectively improve the quality of air by producing negative ions. Negative ions can be found in abundance, on mountains, waterfalls and by the sea. These ions give the air its invigorating freshness, which is good for us. Himalayan Crystal Salt has been reported in the book, Water and Salt, written by Barbara Hendel M.D. and biophysicist Peter Ferreira as having the same 84 elements that make up our bodies. Life on earth is not possible without salt. Most salt consumed today only consists of two elements, Sodium and Chloride. This is because the salt chemical cleaning process has stripped most of the original healthy elements away. Himalayan Salt Crystals are not tainted by any such methods and will always be the way the earth made them, natural. How does your Himalayan Natural Salt Lamp Actually Emit Negative Ions? The emission of ions is caused by the alternating actions of the crystal rock salt’s ability to absorb water, and then evaporate into the air. 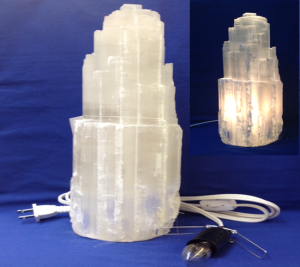 A heated salt crystal lamp will attract water molecules from the air, forming a NaCl and H20 solution. Sodium is a positive ion, and Chloride, a negative ion. Hydrogen has a two part negative charge and Oxygen is a positively charged ion. These ions create a reaction of two positive ions and three negative ions. After canceling each other out, one lone negative ion is produced. This negative ion seeks out the first positive ion like a dust, or bacteria particle and zaps it. This is the process of positive ion reduction and is how our Himalayan Salt Lamps work.Placement of the Lamp Rock Salt Lamps may be used to enhance the beauty of a place by creating a cozy soothing environment. Feng Shui: A few Salt Crystal Lamps placed at strategic spots will enhance chi. A lamp in the relationships corner will be greatly beneficial. Meditation: Use them for Yoga and meditation: When you repose in peace and quite, a Salt Crystal Lamp near you is known to enhance your meditative experience. Allergy Sufferers: A Salt Crystal lamp in your vicinity will help your wellness and keep the air around you clean, ionized naturally and beautifully. In smoky areas as these lamps will clear away the lingering smells. Crystalline rock salt is a natural ionizer. Rock Salt Crystals and lamps effectively improve the quality of air by producing negative ions-the vitamins of the air. Negative ions can be found in billions, on mountains, waterfalls and by the sea. 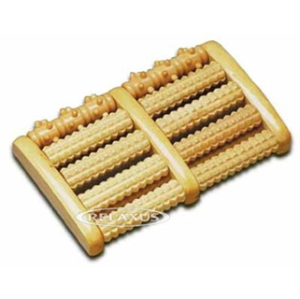 They give the air its invigorating freshness, which is so good for us. In Europe, bioenergotherapists and homoeopathists recommend Salt Crystal Lamps to assist in the treatment of many health conditions. Non Illuminated crystals (cool) work as mini ionizers, however the Salt Crystal Lamps that are illuminated from inside (warm) emit a higher number of ions. Today the ionizers on the market are man made machines, the Crystal Salt Lamps on the other hand are Mother Natures beautiful alternative. The Healing Effect of Colors on our Body & Mind Orange, Yellow – Encourages intellectual comprehension and activates the pancreas, liver and gall bladder. 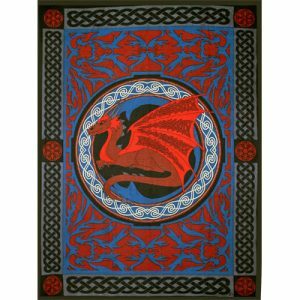 Red – Strengthens the vital life force and activates the heart and circulation. Pink – Supports the sense of partnership and love and opens your emotional body. White – Has a cleansing and detoxifying effect and represents the healing aspect. Brown – Helps to find ones own balance and supports earthiness.